Holiday Blue is a great example of a very well cared Beneteau MC4. 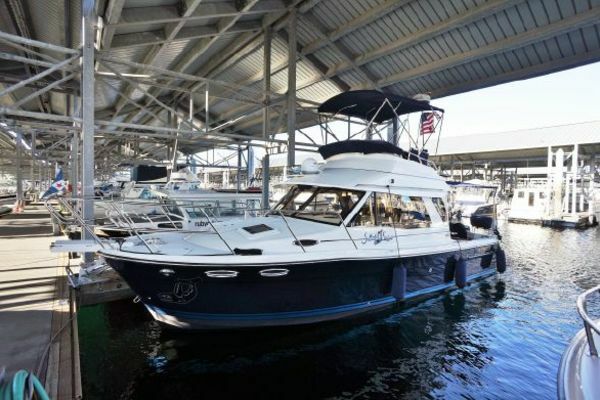 Original owner has taken great care of the boat and adheres to a strict preventive maintenance program. The boat is washed weekly, waxed and polished quarterly and all mechanical maintenance completed by Beneteau or Volvo factory trained technicians. Two seater co-pilot bench to port, convertible into sun lounger (6'7" x 3'3"
3 door sliding bay, mirror tinted, curtain "cream"